Use the economically priced Winco LDS-2 2-Piece Stainless Steel Ladle with Short Handle 2 oz. for food prep, such as pouring pizza sauce on pie dough, or for food service such as pouring gravy on potatoes. 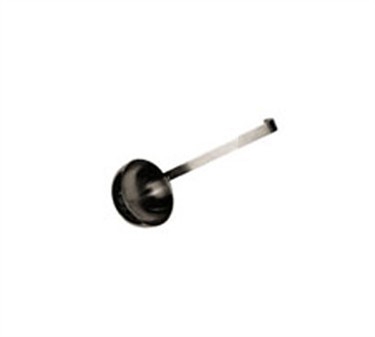 With the convenient short handle, this ladle is easy to use and maneuver. It's 2-piece stainless steel construction makes it more economical than it's 1-piece counterpart, and it is dishwasher safe and durable.